I have tried to eliminate "jail bars" on the screen after UHF mod to video out (based on that: http://zx81stuff.org.uk/zx81/ts1500_video.html) by adding 460uf 16V capacitor between +5V and GND but it didn't do anything to reduce them. 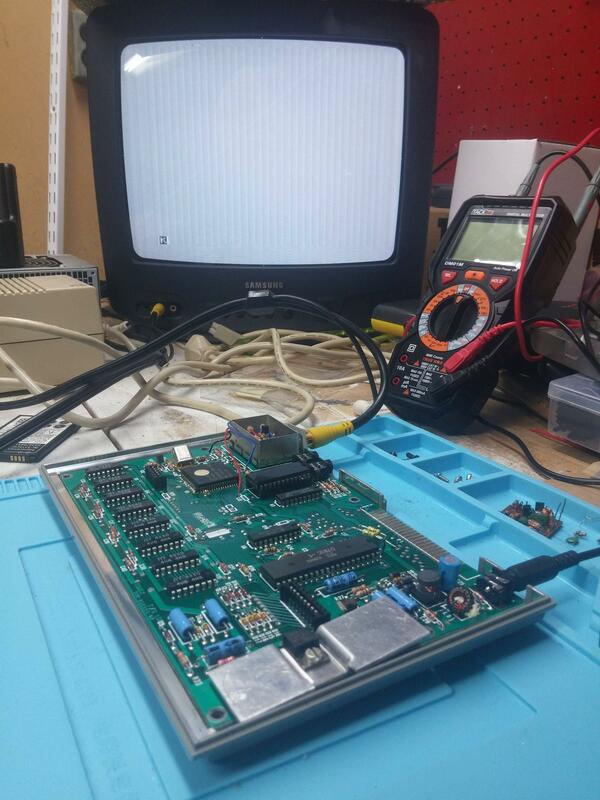 Pokemon on the German ZX Forum has designed a number of video improvement circuits (ZX81CPP, ZX81SCP) that allow connection of a composite video monitor and produce a crystal clear picture once properly adjusted. The circuit basically completely re-creates the video signal from the ULA output. Newer versions have an ATTiny(I think) on board that keeps the sync alive during fast mode which is a relief on modern LCD screens as they tend to get upset otherwise. Every once in a while he offers PCBs and completely built circuits (which, BTW, nicely fit into the modulator case if cleaned up a bit). Not the answer you're looking for? Browse other questions tagged zx-spectrum video hardware-mods sinclair or ask your own question. Why did Amstrad choose such bank combinations for its all-RAM mode in +2A and +3 Spectrum computers? Can polarity inversion damage a ZX Spectrum? Why did POKEing ROM addresses mask port writes? What is causing the problem with the RAM in this (claimed) Spectrum 48k?